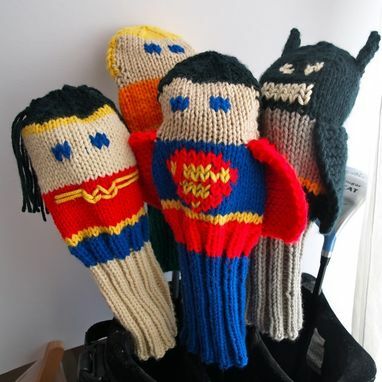 The most powerful woman in the DC universe, Wonder Woman is the Amazon goddess who can battle with the best. 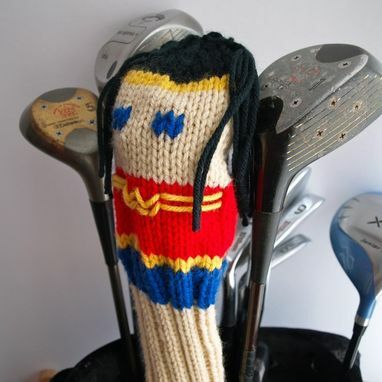 She will keep your score honest with her lasso of truth. 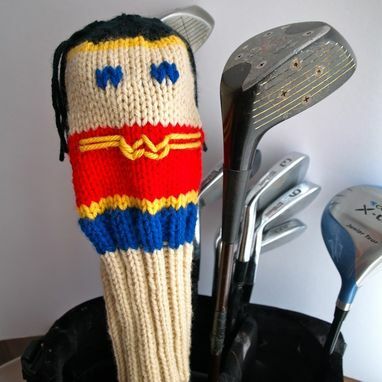 The Wonder Woman Golf Club Cover is designed to fit most clubs and durable enough for a tumble through the washing machine. This Golf Club Cover will be mailed via USPS in a sturdy envelope and plastic zippered bag to prevent damage. 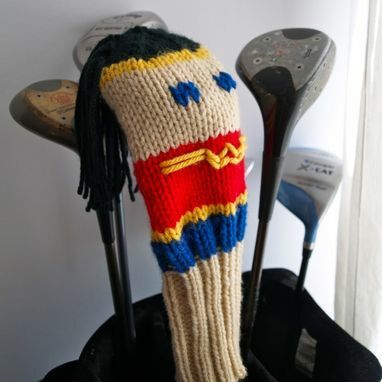 Other superhero golf club covers are available, contact me for any special requests.